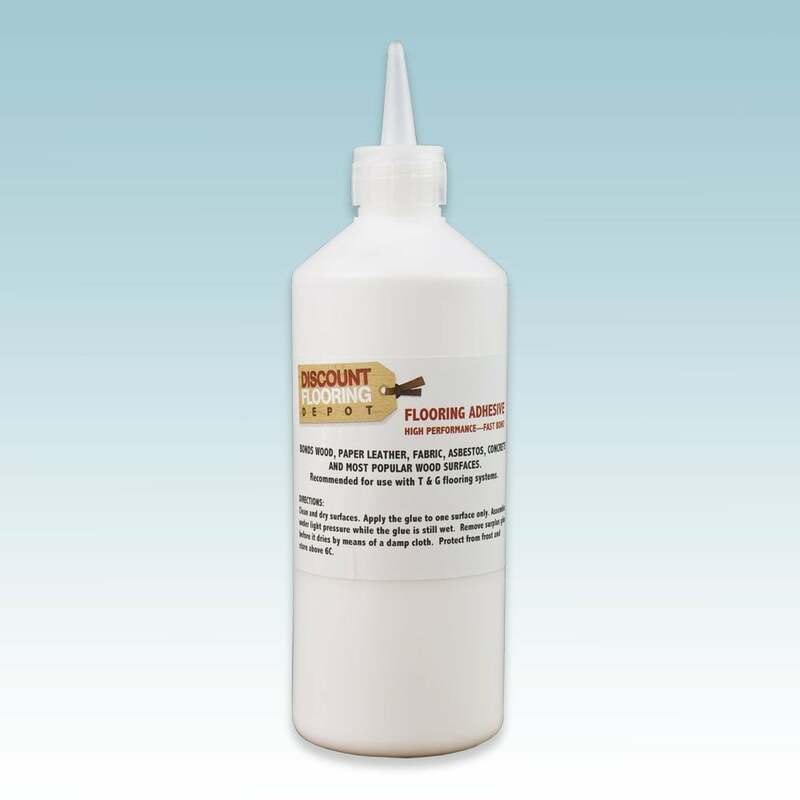 Discount Flooring Depot's flooring adhesive is a high performance fast bonding PVA which is ideal for use with the installation of a Solid or Engineered wooden flooring with a tongue and groove fitting system. The product can also be used with a loose lay laminate floor installation. Dries to colour-less transparent Film. Ideal for floating flooring installations.